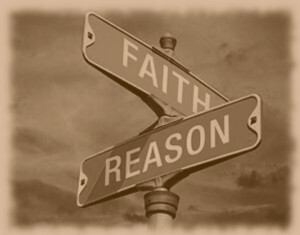 Come let us reason together. The life of man is all about the foundation of truth, which brings on the actions of trust. Then there is faith, which is a spiritual transformation of each soul to know without a doubt that one is saved by faith, believing in Yeshua when one receives forgiveness of sin, the gift of the Holy Spirit within each one, and the guarantee of a home forever in God’s Kingdom of Heaven. Remember, all things Spiritual!! All scripture is God-breathed and is useful for teaching, rebuking, correcting, and training in righteousness. Review Israel’s Ultimate Victory Chapter 17: The Holy Spirit. Hebrews 7 tells us that “In the beginning was the Word, and the Word was with God, and the Word was God.” The Son was with God in the beginning. The Word became flesh and dwelt among us. We have seen His glory, the glory of the One and only Son, who came from the Father God, full of grace and truth. Therefore, we have the Word of Truth, the Trinity; the three in one: Jehovah God, Holy Spirit the Holy Bible, and Yeshua the Son. What is truth? Is it the foundation for trust? Let us look at a passage of scripture from the gospel of John 18:36-38. 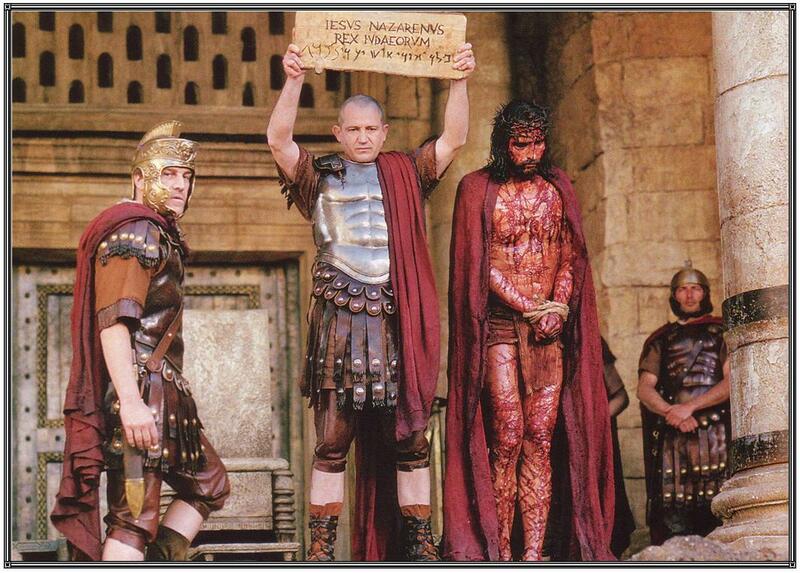 Yeshua has been taken by the Judeans to the Roman governor, Pilot, to be found guilty of being the Son of God and sentenced to death by crucifixion. 36 Yeshua answered, “My kingship does not derive its authority from this world’s order of things. If it did, my men would have fought to keep me from being arrested by the Judeans. But my kingship does not come from here.” 37 “So then,” Pilate said to him, “You are a king, after all.” Yeshua answered, “You say I am a king. The reason I have been born, the reason I have come into the world, is to bear witness to the truth. Every one who belongs to the truth listens to me.” 38 Pilate asked him, “What is truth?” Having said this, Pilate went outside again to the Judeans and told them, “I don’t find any case against Him. John 19 19 Pilate also had a notice written and posted on the stake (cross); it read, YESHUA OF NATZERET: THE KING OF THE JEWS 20 Many of the Judeans read this notice, because the place where Yeshua was put on the stake was close to the city; and it had been written in Hebrew, in Aramaic, in Latin and in Greek. 21 The Judeans’ head cohanim therefore said to Pilate, “Don’t write, `THE KING OF THE JEWS,’ but that this man claimed to be king of the Jews.” 22 Pilate answered, “What I have written, I have written.” In my heart, I would really like to believe that Pilot meant what he posted. Yeshua’s reason for coming into the world was to bear witness of the Truth. John 14 1 “Don’t let yourselves be disturbed. Trust in God and trust in me. 2 In my Father’s house are many places to live. If there weren’t, I would have told you; because I am going there to prepare a place for you. 3 Since I am going and preparing a place for you, I will return to take you with me; so that where I am, you may be also. 4 Furthermore, you know where I’m going; and you know the way there.” 5 T’oma said to him, “Lord, we don’t know where you’re going; so how can we know the way?” 6 Yeshua said, “I AM the Way — and the Truth and the Life; no one comes to the Father except through me. 7 Because you have known me, you will also know my Father; from now on, you do know him — in fact, you have seen him.” 8 Philip said to him, “Lord, show us the Father, and it will be enough for us.” 9 Yeshua replied to him, “Have I been with you so long without your knowing me, Philip? Whoever has seen me has seen the Father; so how can you say, `Show us the Father’? 10 Don’t you believe that I am in the Father, and the Father is in me? What I am telling you, I am not saying on my own initiative; the Father living in me is doing His own works. 11 Trust me that I am in the Father, and the Father is in me. But if you can’t, then trust because of the works themselves. 12 Yes, indeed! I tell you that whoever trusts in me will also do the works I do! Indeed, he will do greater ones, because I am going to the Father. 15 “If you love me, you will keep my commands; 16 and I will ask the Father, and He will give you another comforting Counselor like me, the Holy Spirit of Truth, to be with you forever. 17 The world cannot receive Him, because it neither sees nor knows Him. You know Him, because He is staying with you and will be united with you. Hebrews 11 1 Trusting is being confident of what we hope for, convinced about things we do not see. 2 It was for this that Scripture attested the merit of the people of old. 3 By trusting, we understand that the universe was created through a spoken word of God, so that what is seen did not come into being out of existing phenomena. 4 By trusting, Hevel offered a greater sacrifice than Kayin; because of this, he was attested as righteous, with God giving him this testimony on the ground of his gifts. Through having trusted, he still continues to speak, even though he is dead. 5 By trusting, Hanokh was taken away from this life without seeing death – “He was not to be found, because God took him away” – for he has been attested as having been, prior to being taken away, well pleasing to God. 6 And without trusting, it is impossible to be well pleasing to God, because whoever approaches Him must trust that He does exist and that He becomes a Rewarder to those who seek Him out. 7 By trusting, Noach, after receiving divine warning about things as yet unseen, was filled with holy fear and built an ark to save his household. Through this trusting, he put the world under condemnation and received the righteousness that comes from trusting. 8 By trusting, Avraham obeyed, after being called to go out to a place which God would give him as a possession; indeed, he went out without knowing where he was going. 9 By trusting, he lived as a temporary resident in the Land of the promise, as if it were not his, staying in tents with Yitz’chak and Ya’akov, who were to receive what was promised along with him. 10 For he was looking forward to the city with permanent foundations, of which the architect and builder is God. 11 By trusting, he received potency to father a child, even when he was past the age for it, as was Sarah herself; because he regarded the One who had made the promise as trustworthy. 12 Therefore, this one man, who was virtually dead, fathered descendants as numerous as the stars in the sky, and as countless as the grains of the sand on the seashore. 13 All these people kept on trusting until they died, without receiving what had been promised. They had only seen it and welcomed it from a distance, while acknowledging that they were aliens and temporary residents on the earth. 14 For people who speak this way make it clear that they are looking for a fatherland. 15 Now if they were to keep recalling the one they left, they would have an opportunity to return; 16 but as it is, they aspire to a better fatherland, a heavenly one. This is why God is not ashamed to be called their God, for He has prepared for them a city. 17 By trusting, Avraham, when he was put to the test, offered up Yitz’chak as a sacrifice. Yes, he offered up his only son, he who had received the promises, 18 to whom it had been said, “What is called your ‘seed’ will be in Yitz’chak.” 19 For he had concluded that God could even raise people from the dead! And, figuratively speaking, he did so receive him. 20 By trusting, Yitz’chak in his blessings over Ya’akov and Esav made reference to events yet to come. 21 By trusting, Ya’akov, when he was dying, blessed each of Yosef ‘s sons, leaning on his walking-stick as he bowed in prayer. 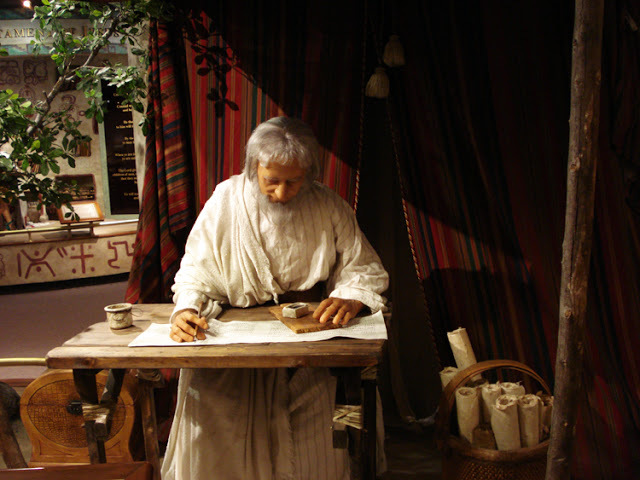 22 By trusting, Yosef, near the end of his life, remembered about the Exodus of the people of Isra’el and gave instructions about what to do with his bones. 23 By trusting, the parents of Moshe hid him for three months after he was born, because they saw that he was a beautiful child, and they weren’t afraid of the king’s decree. 24 By trusting, Moshe, after he had grown up, refused to be called the son of Pharaoh’s daughter. 25 He chose being mistreated along with God’s people rather than enjoying the passing pleasures of sin. 26 He had come to regard abuse suffered on behalf of the Messiah as greater riches than the treasures of Egypt, for he kept his eyes fixed on the reward. 27 By trusting, he left Egypt, not fearing the king’s anger; he persevered as one who sees the unseen. 28 By trusting, he obeyed the requirements for the Pesach, including the smearing of the blood, so that the Destroyer of the firstborn would not touch the firstborn of Isra’el. 29 By trusting, they walked through the Red Sea as through dry land; when the Egyptians tried to do it, the sea swallowed them up. 30 By trusting, the walls of Yericho fell down – after the people had marched around them for seven days. 31 By trusting, Rachav the prostitute welcomed the spies and therefore did not die along with those who were disobedient. 32 What more should I say? There isn’t time to tell about Gid’on, Barak, Shimshon, Yiftach, David, Sh’mu’el and the prophets; 33 who, through trusting, conquered kingdoms, worked righteousness, received what was promised, shut the mouths of lions, 34 quenched the power of fire, escaped the edge of the sword, had their weakness turned to strength, grew mighty in battle and routed foreign armies. 35 Women received back their dead resurrected; other people were stretched on the rack and beaten to death, refusing to be ransomed, so that they would gain a better resurrection. 36 Others underwent the trials of being mocked and whipped, then chained and imprisoned. 37 They were stoned, sawed in two, murdered by the sword; they went about clothed in sheepskins and goatskins, destitute, persecuted, mistreated, 38 wandering about in deserts and mountains, living in caves and holes in the ground! The world was not worthy of them! 39 All of these had their merit attested because of their trusting. Nevertheless, they did not receive what had been promised, 40 because God had planned something better that would involve us, so that only with us would they be brought to the goal. 1 For the Torah is only a shadow of the good things to come, but not the actual manifestation of the originals. Therefore, it can never, by means of the same sacrifices repeated endlessly year after year, bring to the goal those who approach the Holy Place to offer them. 11 But when Yeshua the Messiah appeared as cohen gadol of the good things that are happening already, then, through the greater and more perfect Tent which is not man-made (that is, it is not of this created world), 12 Yeshua entered the Holiest Place once and for all. And He entered not by means of the blood of goats and calves, but by means of His own blood, thus setting people free forever. 13 For if sprinkling ceremonially unclean persons with the blood of goats and bulls and the ashes of a heifer restores their outward purity; 14 then how much more the blood of Yeshua Messiah, who, through the eternal Spirit, offered Himself to God as a sacrifice without blemish, will purify our conscience from works that lead to death, so that we can serve the living God! 15 It is because of this death that Yeshua is mediator of a New Covenant because His death has occurred which sets people free from the transgressions committed under the first covenant, those who have been called may receive the promised eternal inheritance. 1 In days gone by, God spoke in many and varied ways to the Fathers through the prophets. 2 But now, in the acharit-hayamim, he has spoken to us through his Son, to whom he has given ownership of everything and through whom he created the universe. 3 This Son is the radiance of the Sh’khinah, the very expression of God’s essence, upholding all that exists by his powerful word; and after he had, through himself, made purification for sins, he sat down at the right hand of HaG’dulah BaM’romim. Something better is Jehovah’s Son, our key to the goal – Heaven! The word goal signifies completion of whatever fulfilled or accomplished in any given effort. Yeshua came to Earth to do His Father God’s will, to be the once-for-all sacrificial Lamb for the sins of those who choose to follow Him. On the cross Yeshua said, “It is finished!” The work He had come to Earth to do was complete and He would return again to His Father. Paul, a member of the ruling body in Israel, was chosen by Jehovah to take the gospel message to the Gentiles, spoke these words at his journey’s end. 2 Timothy 4 7 I have fought the good fight, I have finished the race, I have kept the faith. 8 Henceforth there is laid up for me a crown of righteousness which the Lord Yeshua, “the Righteous Judge,” will award to me on that Day – and not only to me, but also to all who have longed for Him to appear. In fighting the good fight, all believers are given a spiritual suit from God. This is a spiritual battle! All Things Spiritual! Ephesians 6 10 Finally, grow powerful in union with the Lord, in union with his mighty strength! 11 Use all the armor and weaponry that God provides, so that you will be able to stand against the deceptive tactics of the Adversary. 12 For we are not struggling against human beings, but against the rulers, authorities and cosmic powers governing this darkness, against the spiritual forces of evil in the heavenly realm. 13 So take up every piece of war equipment God provides; so that when the evil day comes, you will be able to resist; and when the battle is won, you will still be standing. 14 Therefore, stand! Have the belt of truth buckled around your waist, put on righteousness for a breastplate, 15 and wear on your feet the readiness that comes from the Good News of shalom. 16 Always carry the shield of faith, with which you will be able to extinguish all the flaming arrows of the Evil One. 17 And take the helmet of salvation; along with the sword given by the Spirit, that is, the Word of God. Hebrews 1 1 In days gone by, God spoke in many and varied ways to the Fathers through the prophets. 2 But now, in the acharit-hayamim, he has spoken to us through His Son, to whom He has given ownership of everything and through whom He created the universe. 3 Jehovah’s Son, Yeshua, is the radiance of the Sh’khinah, the very expression of God’s essence, upholding all that exists by his powerful word; and after Yeshua had, through Himself, made purification for sins, He sat down at the right hand of HaG’dulah BaM’romim (Majesty on high) in Heaven. In the beginning of this part IV of Hebrews we spoke of truth, trust and faith. Many times these words seem to be interchangeable. Let us consider the word faith and its association with the “Last Days” and the Gospel message of salvation presented by Yeshua while He was on Earth. The following scriptures give spiritual insight in relation to the word faith. Galatians 3 21 Is the Torah against the promises of God? God forbid! For if there had been a Torah given which could have given life, verily righteousness should have been by the Torah. 22 But instead, the Tanakh has concluded all under sin; so that the promise by faith of Yeshua Christ might be given to them that believe. 23 But before faith came, we were kept under the law, shut up unto the faith, which should afterwards be revealed. 24 Wherefore the Torah was our schoolmaster to bring us unto Yeshua Christ, that we might be justified by faith, 25 But after that faith is come, we are no longer under a schoolmaster. 26 For ye are all the children of God by faith in Christ Yeshua Messiah. 27 For as many of you as have been baptized into Christ Yeshua have put on Christ. 28 There is neither Jew nor Gentile, there is neither slave nor free, there is neither male nor female; for you are all one in Yeshua Christ. 29 Also, if you belong to Yeshua Messiah, then you are the seed of Avraham and heirs according to the promise. Ephesians 3:9 Not having mine own righteousness, which is of the Torah, but that which is through the faith of Yeshua Christ, the righteousness which is of God by faith. Romans 3 22 Even the righteousness of God, which is by faith of Yeshua Messiah unto all and upon all them that believe; for there is no difference; 23 For all have sinned and come short of the glory of God; 24 Being justified freely by His grace through the redemption that is in Yeshua Messiah; 25 Whom God has set forth to be the propitiation through faith in Yeshua’s blood, to declare His righteousness for the remission of sins that are past through the forbearance of God; 26 To declare, I say, at this time His righteousness: that He might be just, and the justifier of him which believeth in Yeshua. 27 Where is boasting then? It is excluded. By the Torah? Of works? NAY: but by the law of faith. 28 Therefore we conclude that a man is justified by faith, without the deeds of the Torah. Ephesians 2:8 For by grace you have been saved through faith, and that not of yourselves, it is the gift of God, 9 not of works, lest anyone should boast. May you be receptive to this truth from Jehovah, His Son Yeshua, the Holy Spirit, and His word – the Holy Bible. Believing is seeing! All things Spiritual!